et Boz Burrell (ancien bassiste de King Crimson ). 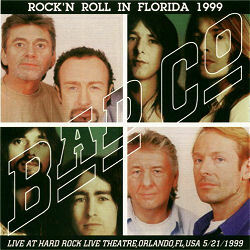 Running With The Pack, Bad Company, Live For The Music. Rock Steady, Ready for Love, Bad Company, Movin' On, Can't Get Enough.